NetApp recommends a NFS queue depth of 64 for all ESX hosts. Here is a quick PowerCLI script to set it on all hosts. This change requires a reboot of the ESX host to take effect. Each of these files being 4GB, it will fill the drive and take your vCenter down. After 2 days of wrestling with VMware support, they found this KB. If you are using vFRC (aka vFlash), you are likely dealing with this issue. Basically, there is a bug that causes these log files to fill up with null data. Virual Flash (vFlash) is enabled in your vSphere Server environment. Most of the CPU and memory is consumed by vpxd.exe or java.exe. Disk space is consumed rapidly because the vCenter Inventory Service data folder increase in size (located at C:\Program Files\VMware\Infrastructure\Inventory Service ). You are unable to display the whole inventory in the vSphere Web Client. Disk space is consumed rapidly is an understatement – it uses it all! According to VMware, there is no patch until 5.5 U2. However, the fix the KB does work. This is a known issue affected VMware vCenter Server 5.5. Currently, there is no resolution. Caution: Do not run these steps if the hosts are used for vCloud Director or VMware Horizion View, as removing the hosts will cause virtual machines to become invalid. 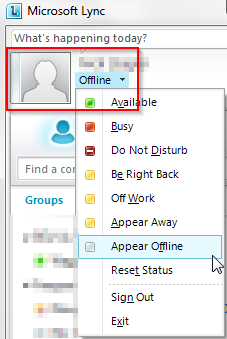 It is recommended to contact support for further troubleshooting. Connect the SQL Server where the vCenter Server’s database resides using SQL Management Studio. To work around this issue, remove the affected hosts modifying the vmConfigInfo.xml file. Then restart vCenter Server. Remove the affected ESXi hosts from vCenter Server inventory. Stop the VirtualCenter Server service. For more information, see Stopping, starting, or restarting vCenter services (1003895). Caution: Take a backup of vmConfigInfo.xml. Do not skip this step. Open vmConfigInfo.xml in a text editor. Insert <Table name=…> after the table key for VPX_VMFS_VOLUME and before VPX_SCSI_DISK_PARTITION. Restart vCenter Server, to reflect the updates. Once the vCenter Server system has come back up, re-add the affected hosts. Re-run the SQL Query from the Verify section above. As of September 9, 2014 VMWare released vCenter 5.5U2. This issue is supposedly fixed this this release. If you have Windows 7, a Dell Precision Laptop with nVidia Quadro 1000M or 2000M with Optimus enabled and your brightness is not working…add this registry key and restart. 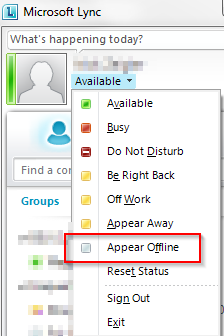 Back in the LCS and OCS days, you could have a status called “Appear Offline” which allowed you to function if you were online, but people wouldn’t know it. Here is a nice PowerShell one-liner to remove the largest snapshots first. This removes one snapshot at a time.